Bangle Bracelet in Copper with Purple crystal. 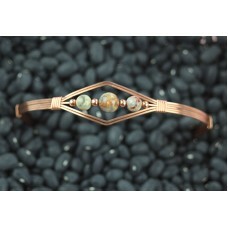 Size is about 195mm or 7.75 inches in circumfer..
Bangle Bracelet in Copper with Blue crystal. Size is about 210mm or 8.25 inches in circumferen..
Bangle Bracelet in Sterling Silver with red Swarovski crystals. Size is about 200mm or 8 inche.. 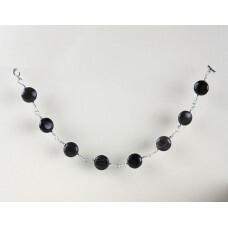 This bracelet is coin shaped beads is a lovely coffee swirl color. Length is about 11 inches or 2.. 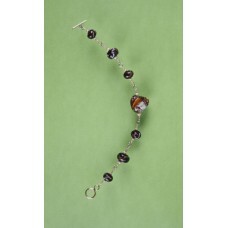 Fancy Jasper beads are featured in this bangle bracelet. 14 karat gold filled wire and accent bea..
Hand made lampwork glass beads by a friend of mine. They have been properly annealed in a kiln. Wi.. 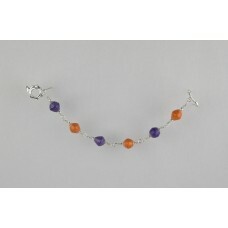 This bracelet has eight segment and easily moves with you. 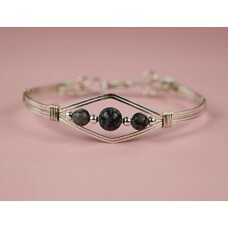 The toggle clasp and all the metal is ..
Sterling Silver with Snowflake Obsidian Bangle bracelet. Size is about 8 inches in circumference. .. 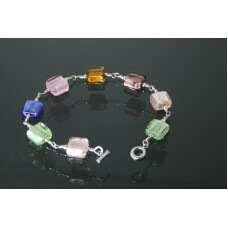 This bracelet is made to order. It is available in the colors listed. 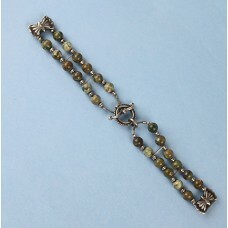 The metal parts are all st..
Sterling silver Rhyolite watch band. 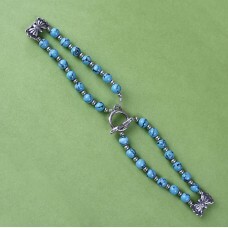 All metal is Sterling silver in this bracelet style watch ba..
Sterling silver Turquoise watch band. All metal is Sterling silver in the bracelet style watch ba..